When we talk about water, we talk about all the Sustainable Development Goals (SDGs). Water is the basis for life on this planet and critical for the survival of all of us 7 billion people living here. Water is also a fundamental ingredient for food and energy production, thereby playing a crucial role to end hunger, promote health and nutrition, and provide clean and sustainable energies. However, our world needs to become more efficient to confront water-related challenges. The Synthesis Report 2018 on Water and Sanitation shows that between 2000 and 2015, 2.1 billion people still lacked access to safe drinking water. Moreover, 4.5 billion people worldwide did not have access to safely managed sanitation services and 892 million still practiced open defecation. And our water needs to be used more efficiently – for countries whose economies depend on agriculture, the value created by water is only 2 US$ per kilometer, while it is 1,000 US$ per kilometer in highly industrialized countries. “This situation is projected to worsen if we continue business as usual,” Liu Zhenmin, UN DESA Head, said in his opening remarks at the recent High-level International Conference on International Decade for Action “Water for Sustainable Development”, 2018-2028. Held from 19 to 22 June 2018 in Dushanbe, Tajikistan, the Conference was a venue for governments, UN entities, non-government organizations, and other major actors to explore ways to facilitate the cooperation at all levels of societies, in order to fulfill the commitments of the Water Action Decade 2018-2028. “The solutions are there in a number of international instruments. The challenge is if we have the political will to change our mindset and to take renewed action,” Mr. Liu pointed out. Water has always been in focus for the UN. 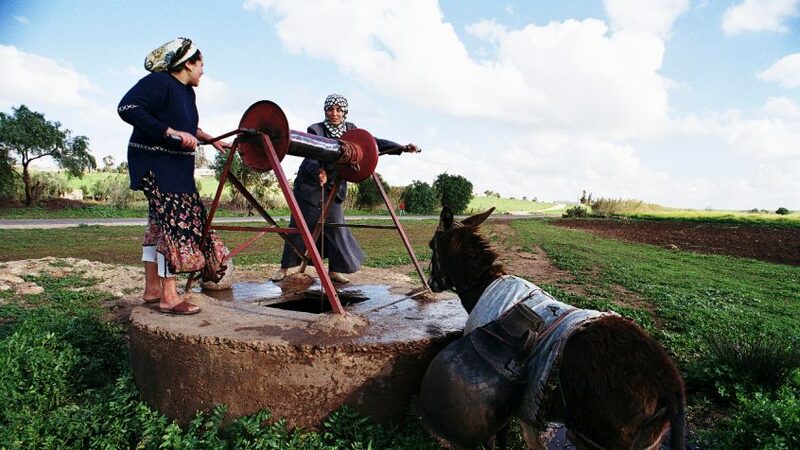 Prior to this Conference and the newly launched decade, the “Water for Life” Decade 2005-2015, aimed at fostering international cooperation for water issues. Milestone declarations, meetings and programs took place, and thanks to all efforts during these ten years, clean water and sanitation became a stand-alone goal (SDG 6) in the 2030 Agenda for Sustainable Development in September 2015. But more ambitious actions are needed to achieve this new agenda. Launched at UN headquarters in March this year and based on previous achievements, the Water Action Decade 2018-2028 will further energize water-related actions. 31 UN entities already have a water portfolio, integrating water into their scope of work. For example, the Comprehensive Refugee Response Framework (CRRF) program of the United Nations High Commissioner for Refugees (UNHCR) encourages governments to include water, sanitation and hygiene services for refugees in their national structures. The United Nations Development Programme (UNDP) hosts the Water and Ocean Governance Program (WOGP), using its knowledge expertise to support stakeholders to sustainably manage oceans, marine ecosystems, groundwater systems and coastal areas. Countries are also taking actions. 40 Member States have made commitments to the new water decade. At the Dushanbe Conference, country representatives declared to work together in the future, to increase investment in water-related infrastructure, reduce inequalities in accessing water services, strengthen water management capacities, and step up all other water-related efforts. Also, clean water and sanitation will be in focus at this year’s High-level Political Forum on Sustainable Development running from 9 to 18 July, as SDG 6 is one of the six goals under review. “Water connects us, and unites us. Let us work together for a sustainable future, through a successful Decade of ‘Water for Sustainable Development’,” said Mr. Liu.